I made a mistake in affixing a complaint about a journalist to a singular incident. Because of this error, the message was lost in translation and was interpreted as an attack on journalists who file Freedom of Information Act (FOIA) requests. The latter is not the case, and I believe that my transparency on behalf of my police department as well as my very public views on holding police officers accountable speak to this truth. Perhaps that mindset is the catalyst for the frustration I feel with any reporter who, rather than reporting, files FOIA requests by the dozen. Some of the requests leave me scratching my head, and I wonder what story will arise out of the seemingly innocuous information being collected. These voluminous requests have left me to deduct that it's a fishing expedition and the reporter is looking for something (anything) to discredit our agency and our officers. My department has enjoyed a longstanding relationship with our local newspaper, and I can honestly say that the reporters I've worked with are some of the most talented and competent I've had the pleasure of working with so the recent distrust is new to me. The Freedom of Information Act is justly in place, and since its inception, my department has honored the inquiries into the actions of our officers. Both police officers and journalists subscribe to the "trust but verify" philosophy, so I've never felt opposition to the practice until we experienced a reporter who appears to spend more time filing FOIA requests than reporting. My department lives in the light, and I have no issue facing the residents and stakeholders of my city and telling them that I made a mistake. I have terminated officers for making mistakes, and I stand firm in my decisions because those who tarnish our badge have no place among the honorable officers who get it right day after day. Let me be succinct in stating that every officer involved shooting warrants FOIA requests. That’s why it was my mistake to assert any linkage to the obsessive FOIA requests as part of the shooting incident. I'm hanging my head. Wesley Lowery from the Washington Post was the first to attack me on Twitter, so he's my favorite reporter right now. He was correct in placing me in his crosshairs because I know he genuinely believes that I was venting about a reporter who was verifying information from a shooting. That couldn't be further from the truth. So my purpose of this post is to seek first to understand and then be understood. I have been a cop my entire adult life, and I don't know what it's like to walk around in a reporter's shoes. The shoes I wear are shiny and match my uniform. My point is that I don’t know what I don’t know. If reputable and respected journalists respond and tell me that it is perfectly normal to file FOIA requests for the sake of filing, then I will stand corrected. But if I were in the shoes of a reporter, I think I would spend time keeping my readers informed and I would be vehement in my quest for truth. But in doing so, I would not automatically assume everyone is lying or withholding unless they gave me a reason to believe that. If I were suspicious of coverup or corruption, I would be steadfast in my pursuit to uncover the truth. Again, every shooting incident should meet that level of inquiry but those serious incidents aside, is there room to build trust? Ironically, law enforcement officers and journalists overlap in the fact-finding part of the mission. Some police actions and the organizations to which they belong have justified this level of scrutiny, so that is not lost on me. But do the transgressions of the few translate into the automatic lack of trust for all? I fear the answer to this question. With that, I will respond to the inquiries from Mr. Lowery on Twitter (@WesleyLowery) in this venue because I simply cannot communicate meaningfully in 140 characters or less (i.e., I talk too much). 1) Given the current environment, do you think a chief's public targeting of this specific reporter could result in threats/violence for him/her? I hope not. I didn’t provide a name or a publication and the truth is, I never even considered that. I have a philosophical disagreement with the process by which the reporter reports but I would never instigate or purposefully condone violence. I respect the reporter's humanity and wish no harm. 2) While I think reporters can be strategic in what we request, shouldn't use of deadly force always prompt our scrutiny/requests for info? Yes. I do. If the actions of a police officer result in force, I believe we should be scrutinized to determine if those actions are lawful. If we are charged with upholding the law, we should follow the law. 3) I file many FOIAs; not all lead directly to articles. Does that mean I am no longer entitled to public information…? Of course not. But just like you might say to a police officer, "Do you always have to go to force options?" The answer is no. But I do believe FOIA requests should be strategic and not just a fishing expedition. That is where the disconnect seems to be. Maybe we just keep the dialogue going in an attempt to see each other up close. I'm a cop and that might make you deduct something about me before having met me. Reporters are being villainized for "fake news, " and a faction of society is adopting that narrative. I'm not one of those people. The media is a crucial component of our society and keeping those in power accountable is important and honorable work. Let us all keep fighting the good fight even in discourse. This gentlemen then took to his personal Facebook page and reiterated what he wrote on the Paramount website. When I received a phone call from the Mayor’s office inquiring about the mugging that occurred downtown, I scratched my head. Robberies (aka: muggings) are serious incidents and I hadn’t been provided information about this occurrence. I quickly did a cursory check of serious incidents that were logged and found nothing of the sort. I reached out to the Lieutenant of our Investigations Bureau and oddly enough, he found no report of a robbery that occurred in downtown Aurora. He expanded the grid search beyond the downtown boundaries and still came up empty. He then did a city-wide search and expanded the date-range and found nothing. You get the idea. It’s been my experience that those who are victims of a robbery call 9-1-1. It is extremely rare that a person will simply shrug their shoulders and decide not to notify the police — especially given that a robbery is a very serious crime. My spidey senses started tingling but I still tried to give the victim the benefit of the doubt. Yes. Yes I do. Pull video from cameras in the downtown area. Search for the victim in records. If there was a robbery, we need to know about it so we can formulate an operational response. The detective went to work and determined the “victim’s” identity through his social media presence and located his residence (which happened to be in a town directly east of us). The detective made contact with a female from that residence who advised that Mr. R____ was not at home but identified herself as his wife. The detective asked if they enjoyed a show at the Paramount over the weekend. The woman advised that she and her husband did, in fact, attend a Saturday evening show where a Queen cover band was performing (it got excellent reviews by the way!). When the detective pressed about any unusual incidents that occurred while going to and from the show, the woman seemed befuddled. The detective asked point blank if she and her husband were mugged. I’m going to let you take a guess at her answer. That’s correct. Nope. Nada. The detective shared with her the content of her husband’s posts on social media claiming to be the victim of a robbery and she couldn’t understand why he would say such a thing. The only thing that occurred in her explanation was a car of people who drove down the street and yelled something from within the car that sounded like, “where’s my money”. The woman said the car never stopped or slowed. That does not translate into a robbery. He made it all up. Why? What is the motivation of someone who fakes being the victim of a robbery. Was it to garner sympathy? Based on his harsh words, I would say it was more likely to bash Aurora. We have morphed into a reality where being politically correct is slowly becoming a thing of the past. Despite this, I have difficulty straying from the manners instilled in me so I won’t say precisely what I’m thinking. However, I think it’s appropriate to say that Mr. R’s pants are on fire. He is a fabricator, a fabulist, a fibber, a prevaricator. A spewer of alternate facts. This incites me because we used resources and manpower to make sure there wasn’t an actual victim of a robbery. The downtown area is one of the safest places in our city. People enjoy attending shows at RiverEdge Park and the Paramount Theater and we are pretty proud that our once “rough and tumble” reputation has polished up nicely. We are the 2nd largest city in the State of Illinois with a booming population of over 200,000 people and yet we are still below the national average for crime. We are certainly not without crime issues but neither is any city our size. We take crime very seriously and we prefer devoting our resources to the thugs out there committing crimes without having to waste time on storytellers who grandstand to amass attention. Mr. Pants on Fire, I very much appreciate your suggestion that we “clean up our s&*#”. 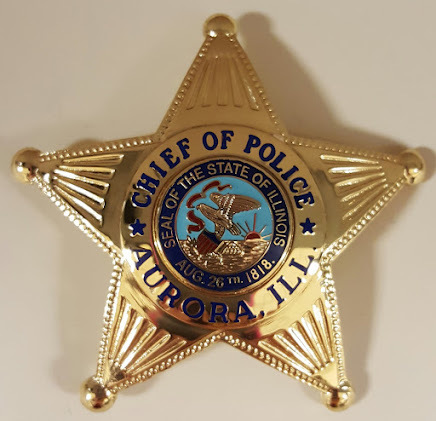 We will continue to fight against those who do harm in our city and I stand with the men and women of the Aurora Police Department who come to work every day to confront those evil-doers. I also speak on behalf of the fine people who call Aurora home and don't take kindly to bashing our city with fabrications of grandeur. So might I politely suggest turning your attention to your own poopie that is in need of disinfecting.